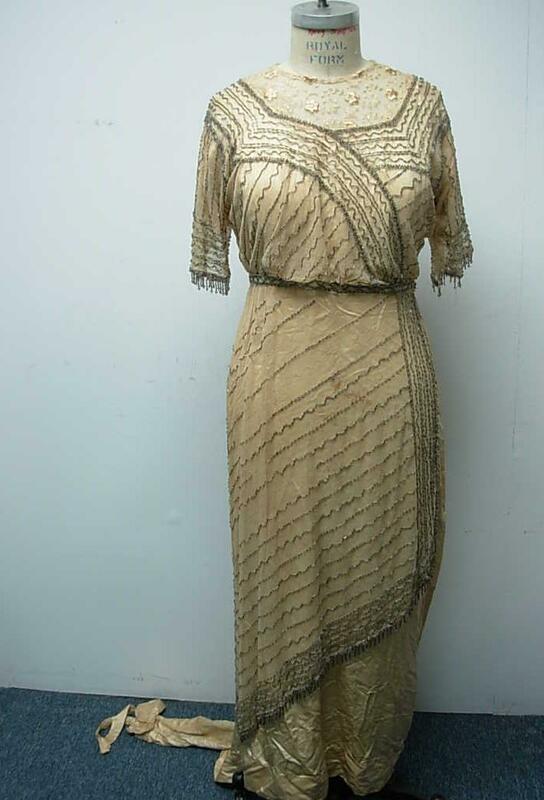 This beautiful dress is in good condition, but it's very fragile. 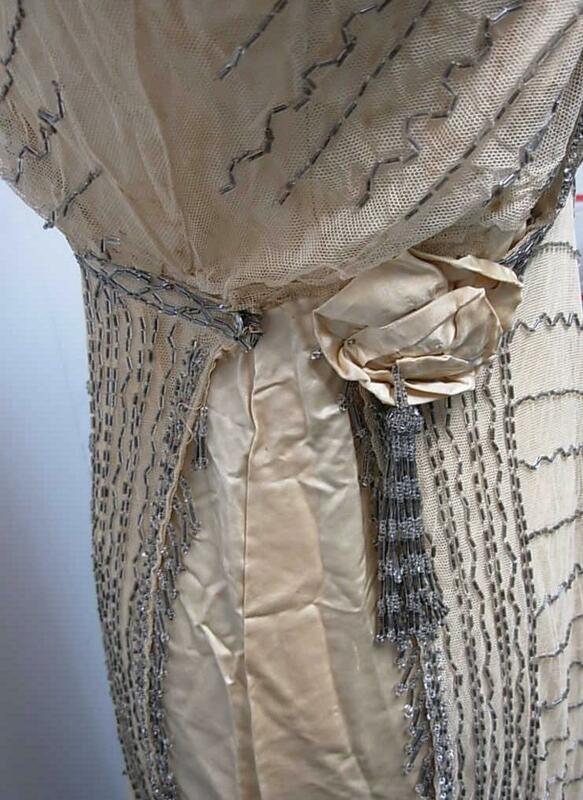 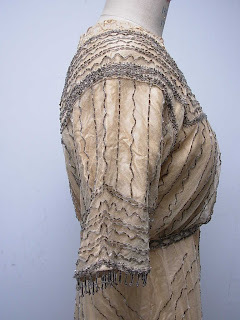 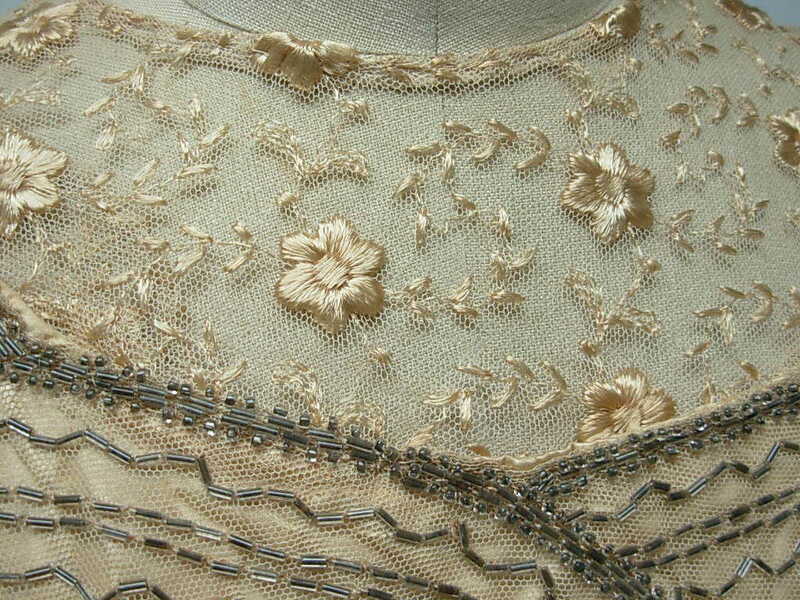 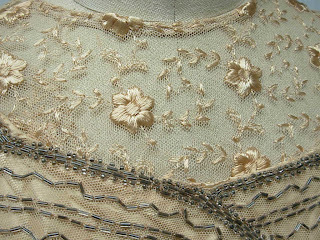 It is missing some beads, has some minor spots, and a few minor tears to both the lace and the satin. 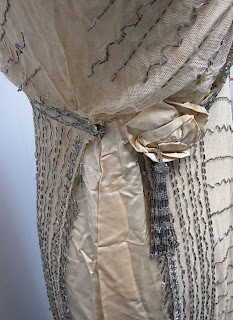 There are snaps in back and the center back is torn on the seam. 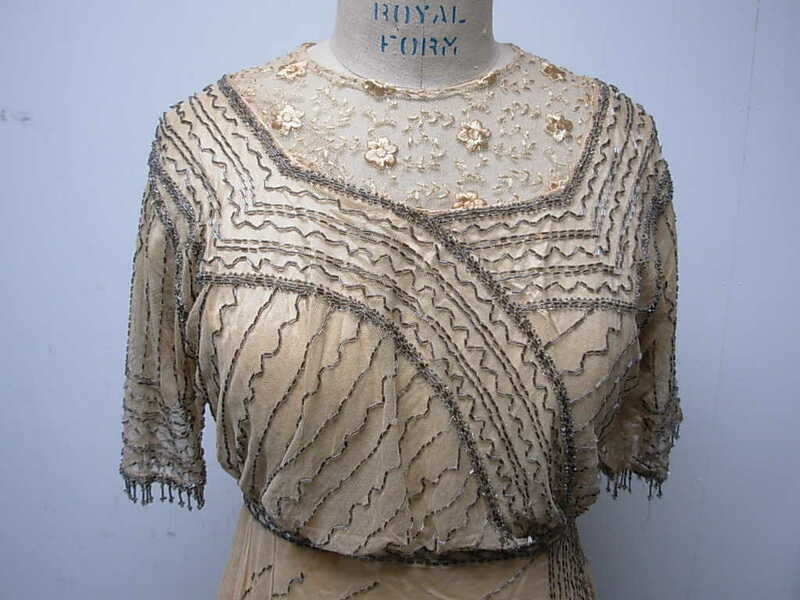 The dress has no labels or tags, but has the following measurements: 18" shoulders, 10" sleeves, 36" bust, 26" waist, 36" hip, and measures 52" long in front and 76" long in back. The back has a bow and loop which I think is intended for the wrist. 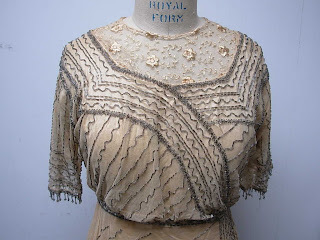 Please see my photos for further details. 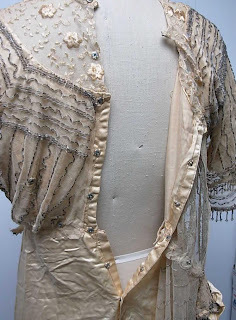 My best guess is that this lovely is from about 1918.